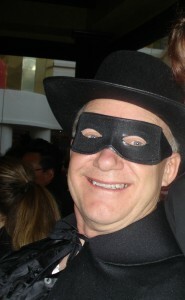 Many of you know that my nickname for my husband of forty plus years is Zorro. For several years I’ve written and continue to write a column called Zorro and Me for a publication called Connections recounting true, humorous stories of our life together. 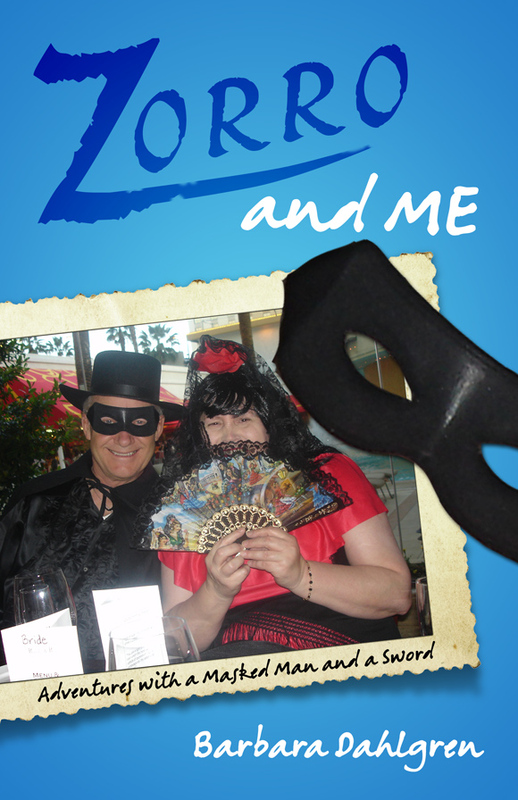 Now some of those articles are in a book called Zorro and Me: Adventures with a masked man wielding a sword. Reading this book can help you see the funny side of life and not take yourself so seriously! When people ask me why I call my husband Zorro I always say, “Well, he looks good in black and carries a sword!” Although that is a fair assessment, I’m going to share with you the true story of how Zorro got his name. We were working in London at the time. I always love saying that. People “ooooh” and “ahhhhhh.” Then I say, “London, Kentucky” and they just stare at me blankly. They would really “oooooh” and “ahhhhh” if they realized how much we loved the ten years we spent in Appalachia. Our three-church circuit, which took up at least a third of Kentucky, decided to have a costume party for our winter social. Our dear friends and we made arrangements to leave our young children with a couple who had volunteered to babysit. They lived just off a curvy highway as did almost everyone in the mountainous region. We met our friends there and imagine our surprise when both the guys showed up dressed as Zorro. The costume party was great fun, and after cleanup we headed back to pick up the kiddos. We eased into their long, winding driveway about one in the morning. We braced ourselves for the inevitable crash into a tree but the car seemed to stay on the curving driveway. Suddenly we realized someone was stealing our car. Without hesitation the guys handed us the children, hopped into the other car, and started in hot pursuit of the culprit. Meanwhile, I called the police. In those days the church leased cars for the ministry and someone had gotten a good deal on these French Peugeots. No one in Kentucky, including us, had ever heard of a Peugeot. You couldn’t understand where the lights, wipers, heater, or anything was on the thing without the manual in your hand. Ours, naturally, was a lemon. We took the car to the shop so many times the mechanics started cursing and tried to hide the minute my husband walked through the door. The car got great gas mileage, though, but you felt like you had to push it up every incline. No matter how many times we had work done on the car, it still made this annoying, clinking clanking sound. To make matters worse we had spilled a gallon, fresh from the cow, of whole milk in it so the smell was a bit overwhelming. Some in the church had affectionately nicknamed it a trashcan on wheels. This poor thief had definitely picked the wrong car to steal. The conversation with the police started off poorly and went downhill from there. Meanwhile the two Zorros had chased the Peugeot off the road. When they caught up with the teenage bandit, the windshield wipers were going and the lights were blinking. The poor kid couldn’t figure out how anything worked. He hung his head out the window in the below freezing weather and gasped for air because of the smell. I can only imagine what he thought when two masked men in black capes hopped out of the car following him, waved their plastic swords and said, “Unhand that car, you cad!” He was so shocked he stumbled out of the car, tripped, and tumbled down a hill, slamming into the side of a big doghouse. Then he quickly got up and vanished in the moonlight. The guys had just reached the driveway when they heard the police sirens. As they stopped, the police pulled their guns and shouted into a bullhorn, “Step out of that car!” Evidently someone at police headquarters had taken me seriously. The two Zorros got out of their cars. After the police stopped laughing, the Zorros gave them a description of the teen, then it was off to the police station to fill out a report. Quite a sight they were, all dressed in black, little plastic swords on their sides, and tiny fake mustaches painted on their upper lips. Things got even funnier when my Zorro had to list his profession as pastor. Yes, we knew. Being in ministry ourselves, we observed how many neglected their families in the name of serving God. The philosophy that if we serve God, he will automatically take care of our families doesn’t work. God gave us our families and expects us to nurture and care for them. This incident was a wake-up call for us. That pastor vowed to spend more time with his son. We promised ourselves we’d spend more time with our children, too. After all, we wouldn’t want them to be chased on some moonlit night by two Zorros on mountainous roads in the middle of winter.